Opera Mini is the leading browser in the world when browsing on a cell phone device and tablet is concerned due to its compression, speed, style and the multi-tabbed browsing support. Now the news is that till date opera only had a Opera Mini version for the tablets, there was not a separate Opera Mini version for the very loving Apple’s iPad. Opera was working on the Opera Mini iPhone version from last year and on the Opera Mini Tablet version from CES, but until now it had not laid its hands on Opera Mini iPdad version. 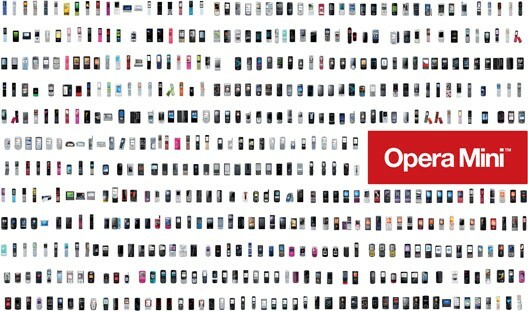 Yesterday Opera announced that it will be showing off its all new release of Opera Mini for the market topper Android, Symbian, Blackberry, iPhone, J2ME and also for the iPad World Mobile Conference 2011 (WMC). Till now none of the features of the new version of Opera Mini for ipad are known, we are all hoping that there will be something new with Opera Mini to its quality browsing mark.